Mark Hamill will be fined if he reveals plot secrets from 'Star Wars: The Force Awakens'. 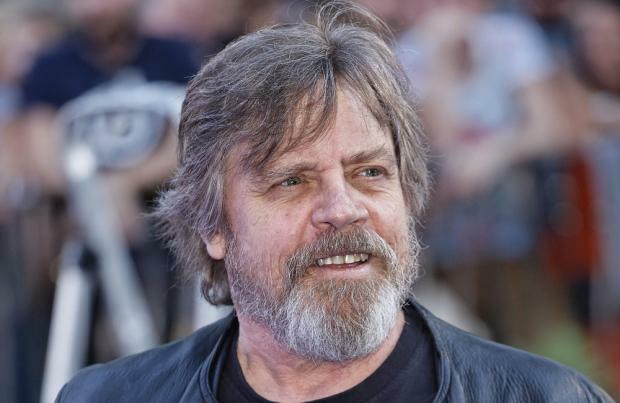 The 64-year-old actor is reprising his role as Jedi Luke Skywalker in the highly anticipated seventh instalment in the sci-fi film franchise and he's revealed he's been warned he won't get his full pay packet if any details of the storyline are leaked. He explained: "I have something coming out where there's an amount of money that if it leaks because of me, I don't get that payment. If I keep it a secret until the day it comes out, I get that payment." However, Hamill admitted he's not worried about letting anything slip as he's got experience in keeping 'Star Wars' secrets to himself. Speaking about Darth Vader being unveiled as Luke's father Anakin Skywalker in 'Star Wars Episode V: The Empire Strikes Back', he told PC Gamer: "I'm proud of the fact that I knew a year-and-a-half before anybody else that he was actually dad - Vader. I didn't even tell Harrison [Ford], or my wife, because I thought it would be terrible if she said 'You know what,' to a fan and it got out, because the director Irvin Kershner said, 'I know something, I'm going to tell you. George [Lucas] knows, I know and now I'm going to tell you, and if it leaks, we'll know it's you', because the line originally was, 'You don't know the truth, Obi Wan killed your father', and he said, 'We're going to take that line out and put in, 'I am your father.' "